I value your opinion sir.. However, I think it's a bold stretch to say we are all the same. Much the same as if I were to compare you to Extremist factions of "your own party". Frankly, I have no desire for side bashing. I think it's immature and there are many more important things actually worth my time. [Than to degrade another based on political affiliation]. The real problem with the U.S. as a whole can be broken down into several groups; however, one of which I'd like to highlight here. While our country is being brought to it's knees (very painfully I might add), we (majority) are too busy choosing sides to see the walls falling apart around us. We're all better than that. Each side proclaims "Wake up America!".. Well, America, this is THE wake up call. The call is not to stand more left or right.. The call is for us to stand United once more. We cannot fix the problem if we are part of the problem. Have I been guilty of this? Absolutely! It's a nasty plague that has manifested and consumed almost all of us. There are extremists --> ANYWHERE <-- you can go.. In any walk of life or affiliation.. Being wholly negative toward another group and judging them as such, generally has a name associated to it.. Be it bigotry, racism, sexism, antisemitism etc etc. In closing, I bed of you not to put a label to a political affiliation that is unjust and untrue. I am a proud and hard working Conservative American. I honor my wife and my children and am more than grateful for what I do have. 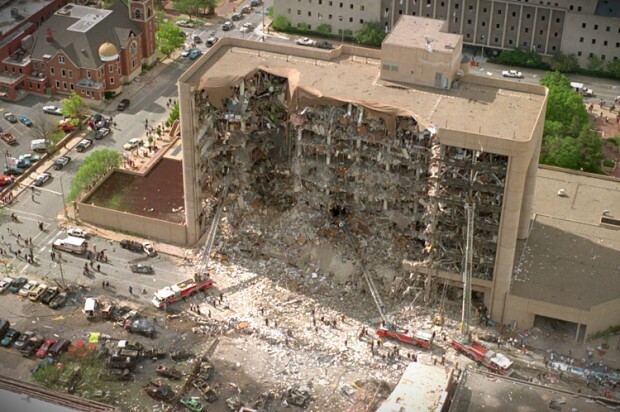 I find what McVeigh and other terrorists have done is deplorable, despicable and outright dastardly... But don't compare him to myself.. Not others either.. That's a crime against humanity itself.